I haven’t done a quick writing prompt for myself (although I give it to my kids as part of school) in years. 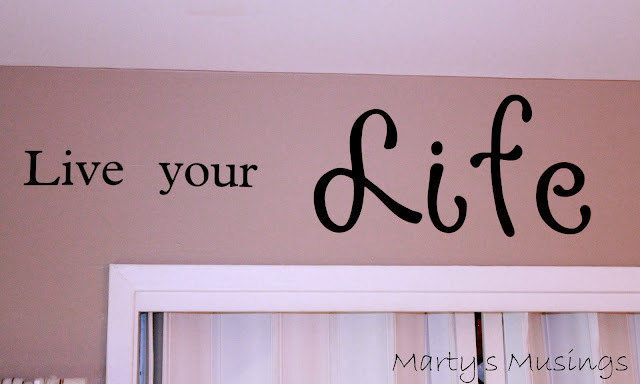 But here goes…..
Live your life to be a story worth telling. That’s the quote on my scrapbook room wall. I saw it somewhere on the internet and it grabbed me. With my love for scrapbooking and my newfound passion for blogging, this quote is a reminder that not only am I to record my life, I am to LIVE it! God has renewed in me these last few months the desire to tell my story. The good, the bad, the ugly, the mundane. Our last 12 years has been one endless, run together story with an ending I can’t foresee. Adopting three siblings, facing their attachment disorders and abuses and wounds upon their hearts. Every day facing painful moments and uncertain futures. It is OUR story. It is our STORY. It is the daily walking with Jesus in order to live out this story. I try to impress upon my children’s hearts that God CHOSE them for us. He chose US for them. In His endless goodness and mercy He knew we would need each other. Today, I’m going to RECORD my life through the words God gives me. I’m going to LIVE my life through the journey of adoption and healing. My story has value. I have value. My children have value. God is good. 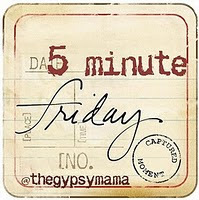 I’m linking with Lisa-Jo Baker and Five Minute Friday. It’s my first time and the assignment is to write for five minutes, no editing or backtracking, on the writing prompt Story. Okay, I did have to make grammar and spelling corrections. I can’t help it. I’m a homeschool mom. We’re OCD like that. Sorry! I posted a comment but it seemed to get lost somehow! Anyway, I wanted to tell you that I stopped by from Lisa-Jo’s. I enjoyed reading your post. Your STORY sounds interesting. Maybe you should keep doing the five-minute writing with your kids. Coming by from the link up – it is definitely one of my favorites and I look forward to it each week. I love your top picture and look forward to looking around your blog! God has definitely given each one of us a unique story and it is beautiful! “It is the daily walking with Jesus in order to live out this story.” THAT’S what makes our STORY special! Thanks for sharing your heart. I would love to hear more of your story. Adoption stories are the best. After all, isn’t that what God does for us? He makes those who accept Christ joint heirs! 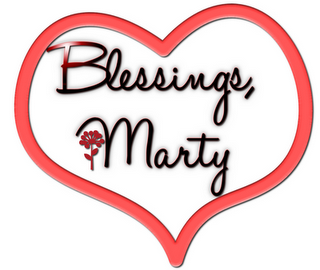 Marty- I love your new header… so classy!